One of the most sensitive stages in life is the teenage years. At this stage, you start to discover yourself and the body starts to react in different ways. There are moments when you will sweat because you are going out for your very first date or have a new experience in life. While sweating is a normal thing, there are some cases, when you may realize that you are sweating way too much. It can be quite embarrassing when you have to deal with too much sweat, even when there is nothing causing you to sweat as much. This is one of the killers of self-esteem in confidence in teens. Fortunately, this is just about to come to stop, and by the end of this post, you will be happy that you landed here. As mentioned earlier, puberty marks the end of being a child and the starting point of adulthood. There are 2 sweat glands in the body; the apocrine and eccrine glands. From birth, you will have the eccrine glands, but the apocrine glands will start to develop in your armpits, during adolescence. These are the sweat glands that will produce odor, when they react with the bacteria that is found on your skin. When you hit puberty, the body starts to change and part of the metamorphosis is having over 3 million sweat glands being activated around the groin, armpit, palms, and the feet. Besides the normal sweating, you may realize that you are suffering from excessive sweating. If you have been sweating too much, than usual, there are so many possible reasons to explain it. Sweating is a normal function that will be used in regulating the temperature your body. Some of the instances that could cause you to sweat include exercising, eating hot spices, areas with hot temperatures, medication, taking hot beverages and getting angry or anxious as well as being nervous. When you are a teen, you may have a number of nervous experiences that will cause you to have sweaty palms. This is mainly triggered by the sympathetic nervous system, which will activate the flight or fight response in such situations and this causes you to sweat. While this could be normal in teens, there are some who experience some extreme sweating, which is a medical condition. Hyperhidrosis is a medical condition, which causes one to sweat beyond the common parameters. This is caused by the sweat glands being hyperactive and as a result, you will sweat almost every time. This will be irrespective of the temperatures and it will so much more than the usual amount required to regulate the body temperature. If you are suffering from this, you are not alone; in the United States only, there are over 7.8 million people who are affected by this condition. In most cases, this will be in your armpits, which is referred to as axillary hyperhidrosis. It is true that this is a condition that does not cause any bodily harm, but for a teen, this could be quite disturbing. It will cause odor and even ruin clothes with the yellow stains. Too much sweating can be quite uncomfortable and may be a great source of embarrassment. If this has been affecting your day to day life, you should take the right action. I know you may have given up and concluded that your situation cannot be helped. There are many suggestions that are floated, but if you have to deal with excessive sweating, this may not be of any help. Most of the sweating advice, much as it means well, may be misleading. This is because most people are not aware of hyperhidrosis and as such suggestions like showering several times in a day may not be of any help. This may sound like is a something simple and common, but unfortunately most people cannot tell the difference. Deodorants are designed in such a manner that they will prevent the sweating odor. However, the antiperspirants will block the sweat glands and prevent you from excessive sweating. The active ingredient in antiperspirants in aluminum chloride, which will dissolve on the skin and form some gel, which will clog the sweat glands. As a result the amount of sweat that is released, is significantly reduced. If you are suffering from excessive sweating, you should use a combination of antiperspirant and deodorant. The deodorant will keep your armpits smelling fresh, while the antiperspirants will block the wetness and too much sweating. A good tip to follow, is by checking the concentration of aluminum chloride, so to block the sweat effectively. If, in the past you have tried the antiperspirants that are sold over the counter and there was no change, then you should take it a notch higher and go to a medical doctor. The doctor will prescribe a clinical antiperspirant, which is stronger than the others that are sold over the counter. When using the clinical antiperspirants that have been prescribed, you should follow the instructions religiously. There are some that are supposed to be applied at night. You need to be patient as this may take a few weeks, before you can realize noticeable changes in your sweating. There are a number of medical procedures that you could for, however, it is important to clarify that there is no definite cure for hyperhidrosis. The medical procedures are meant to help manage the situation. Some of the available options include iontophoresis, Miradry, laser, oral medication, surgery and Botox. Some of the treatment methods are quite expensive and require regular maintenance. You may also resort to the use of some homemade remedies, using natural products. Some of the common ingredients include tea tree oil, wheatgrass, green tea, vinegar and lemon. This could work as a natural way of preventing excessive sweating. 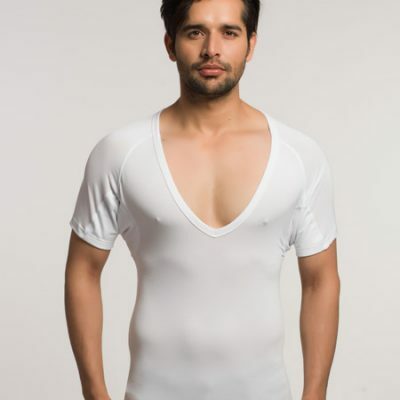 The sweat proof undershirt is another great solution for excessive teen sweating. This will absorb the sweat and leave you dry and comfortable at all times. You will no longer have to worry about yellow stains on your clothes as it does not allow the sweat to penetrate to the clothes. 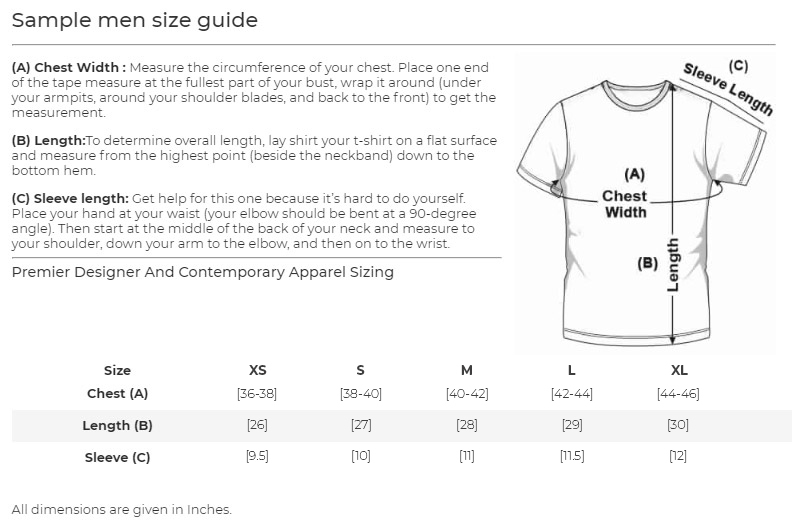 However, the only thing to take note is that not all sweat proof undershirts will work as required. 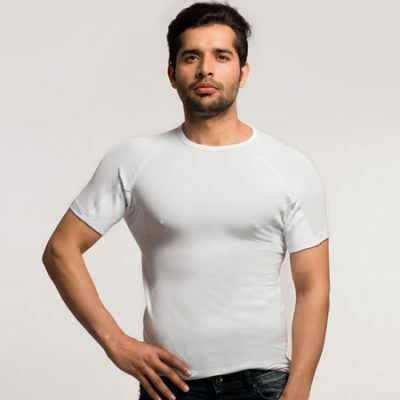 You need to find one that is made of natural fibers, which we trap the sweat. The NGwear sweat proof undershirt is one that will not disappoint. This is a patented sweat shield that is definite in blocking the sweat. What are the Side Effects of Excessive Sweating in Teens? Excessive sweating in teens has a number of adverse side effects, if it is not managed properly. This can have a huge impact on your day to day life and takes your self-esteem. There are a number of teens who have suffered a great deal of psychological and social side effects as a result of sweating. This causes depression, ridicule and lack of confidence. Fortunately, this is something that can be controlled and you need to talk to your parents and explore the best solution. You should not allow teen sweating to ruin your life and cause you not to enjoy your teenage years.